Width 35cm. Lenght 40cm. Height 85cm. Solid bamboo cat tree and sisal posts. 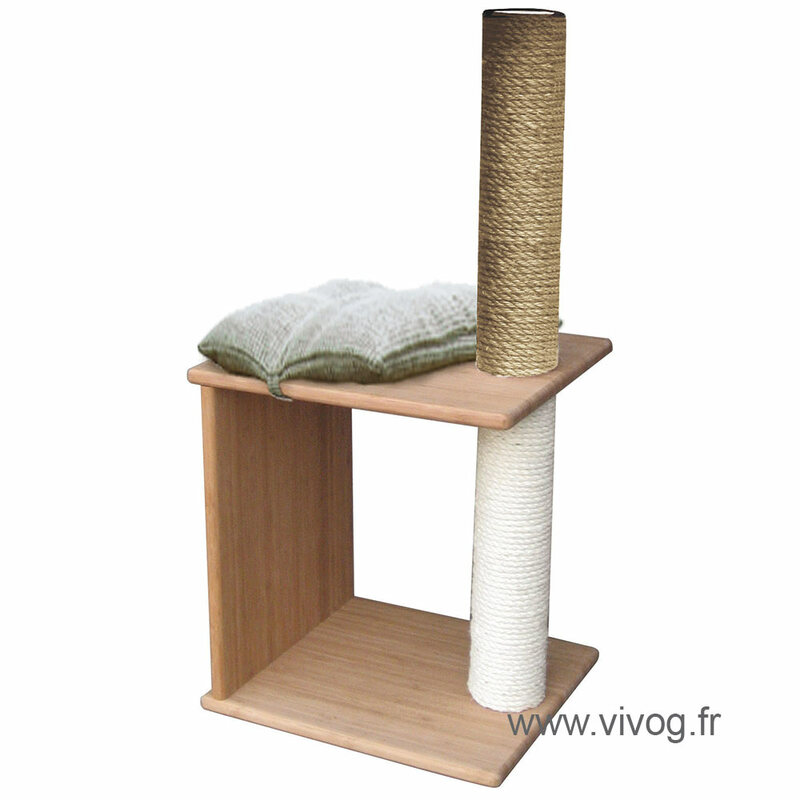 rest station with removable cushion Natural canvas.